Beck, you guys. Beck! One of the only artists (along with Radiohead) that appealed to me in high school, taught me a thing or two about how good music should be made, and kept me with them all these years. Odelay changed the game for me. At first, I thought it was too different and weird. Then I just realized that I was the weird one and that his albums were just fine. Unfortunately, after his album Guero in 2003, Beck had severely slowed down his output, which to be honest, hasn’t been that great. I blame is mostly on production as Nigel Godrich gave Sea Change the moodiness that is its trademark, but just about missed the mark on The Information. Same with Danger Mouse, who made Modern Guilt too much his own and not enough of a Beck album. Both those albums are boring. So much so that it’s clear that Beck’s output has been all but lacking for the past 10 years (that’s just two albums), as his non-acoustic output lacked the rawness of the Dust Brothers. With his albums gathering less and less attention, it seemed like Beck himself faded away and became disheartened with the “music industry” whatever that means. Then Morning Phase happened, and thank God it did. For his “comeback album” Beck decided to go back to what he’s done best in his career which is his quieter and more contemporary stuff. Indeed, Morning Phase is a sigh of relief as it’s got a distinct sound reminiscent of Sea Change (just listen to that guitar intro on Morning!) but never gets as playful as Mutations. And although it never reaches a climax, there is some exquisite writing on this album as the songs Morning, Heart Is a Drum and Blue Moon are some of the most beautiful of his career and Wave and Turn Away some of his most haunting. Basically, Morning Phase has personality and it’s indistinguishably Beck. Beck has never been one to play around with his vinyl releases and Morning Phase has a very straightforward vinyl release. 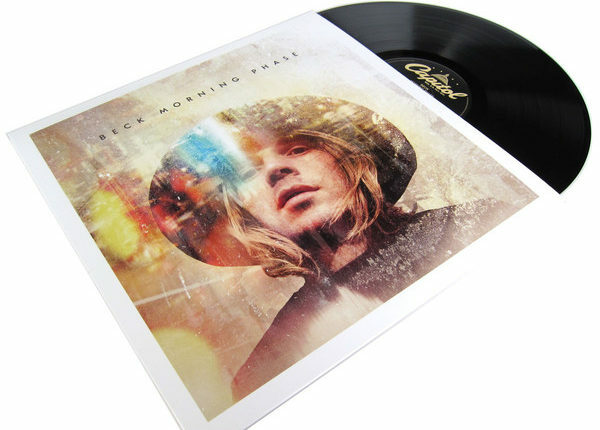 With a MP3 download and insert, Morning Phase comes in a beautiful 180 gram single record. Basic but serious about what it’s trying to do. And just like its name implies, we hope it’s a sign of a new morning in Beck’s career. We look forward to it.